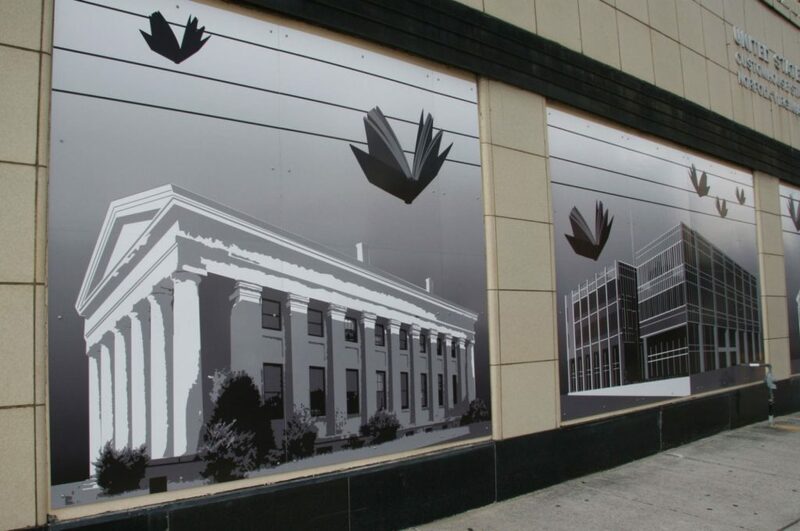 Anne installed “Book Migration“ at Plume Street and Atlantic. 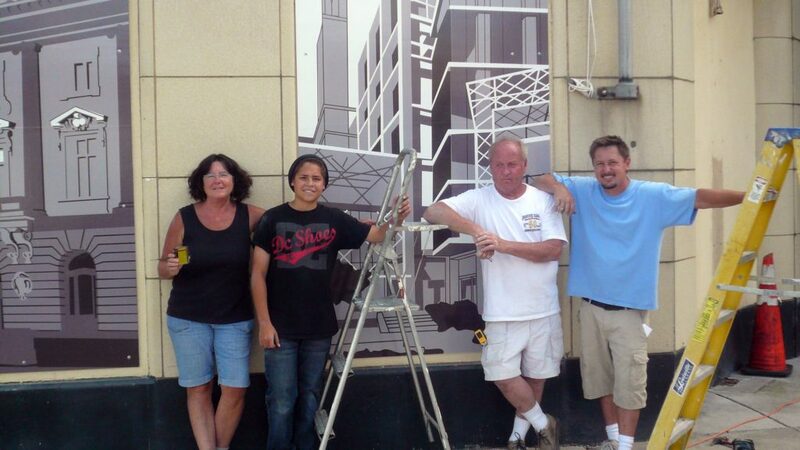 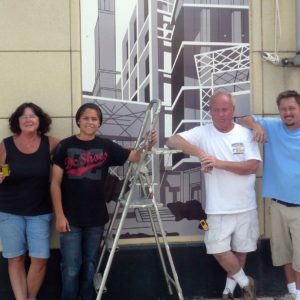 The black and white mural consists of six panels printed on aluminum. 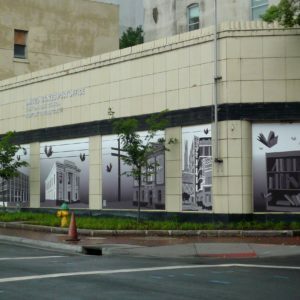 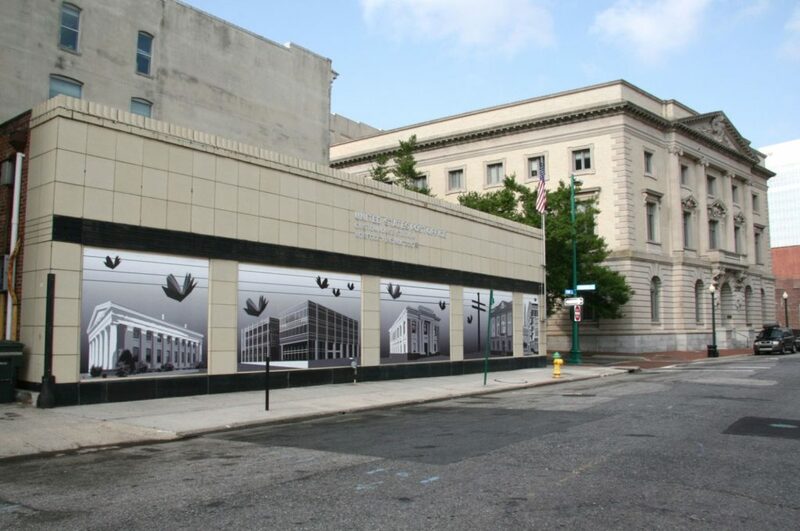 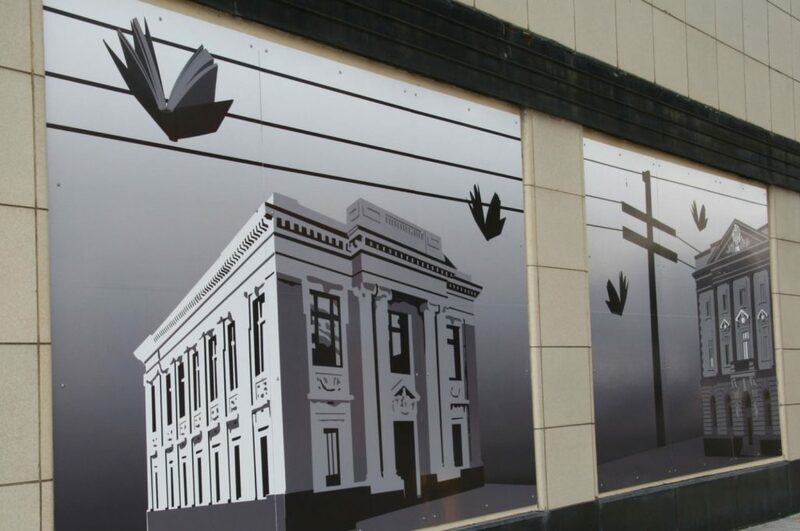 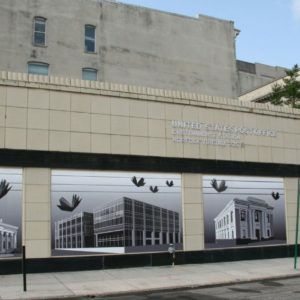 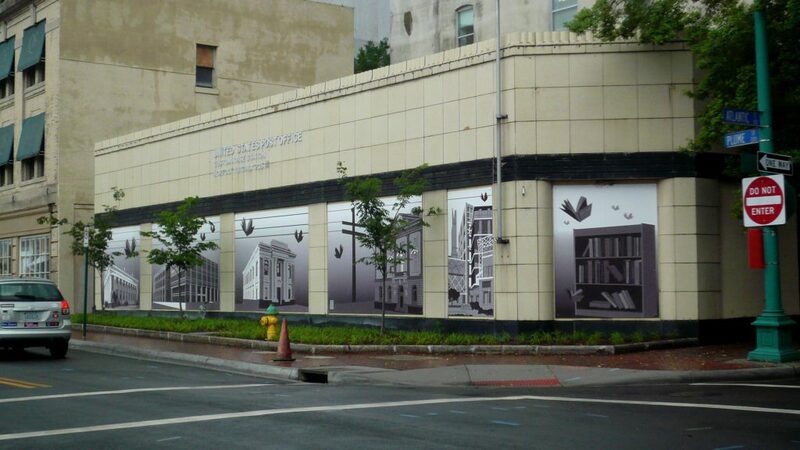 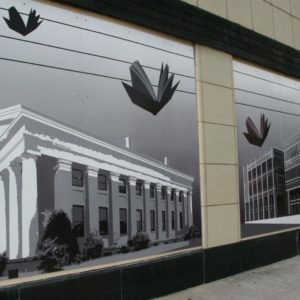 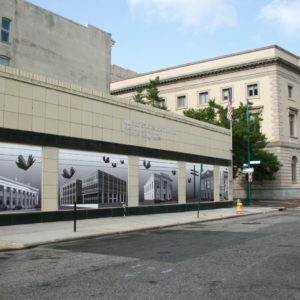 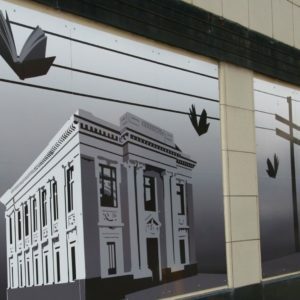 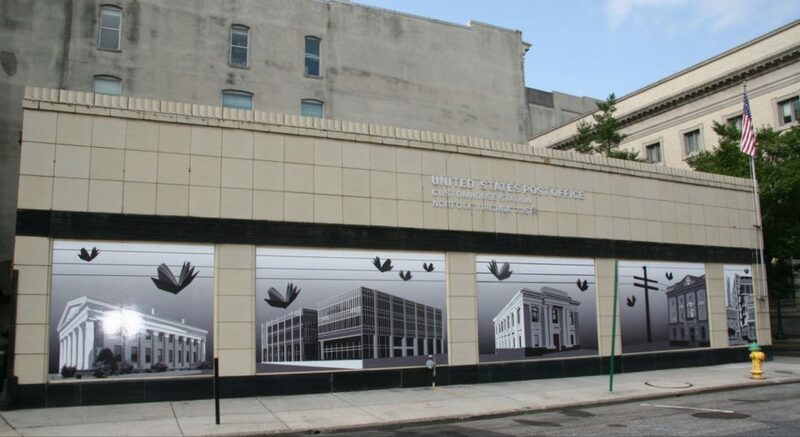 It depicts an analogy of birds migrating the movement of books over the years from the original Norfolk Public Library to the various branches and the new Slover Library being built on Plume Street.